What does CHEMSAFE stand for? 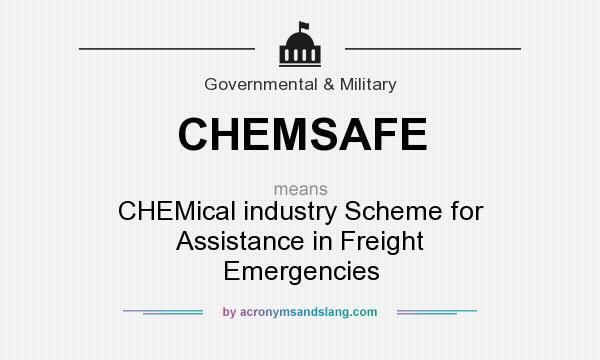 CHEMSAFE stands for "CHEMical industry Scheme for Assistance in Freight Emergencies"
How to abbreviate "CHEMical industry Scheme for Assistance in Freight Emergencies"? What is the meaning of CHEMSAFE abbreviation? The meaning of CHEMSAFE abbreviation is "CHEMical industry Scheme for Assistance in Freight Emergencies"
CHEMSAFE as abbreviation means "CHEMical industry Scheme for Assistance in Freight Emergencies"